With the good weather here and Summer holidays being booked, I'm sure many of you are looking for a nice book to read whilst sunning yourself on a beach far far away. 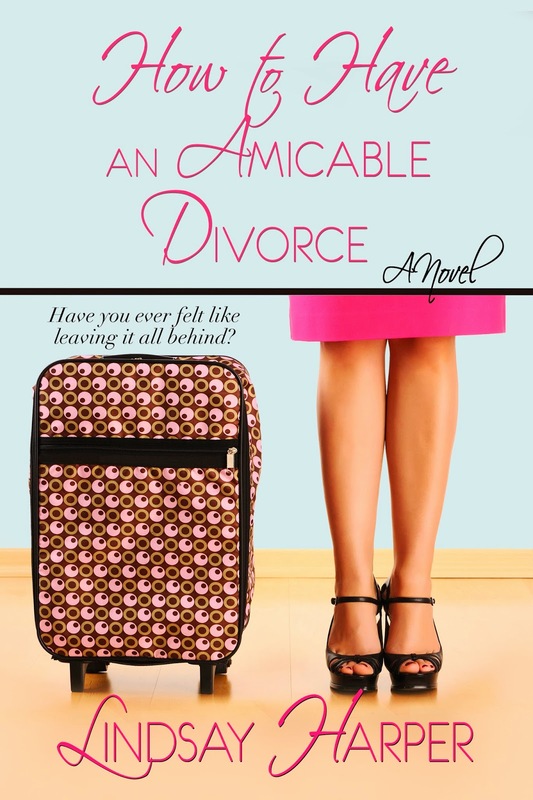 I was recently sent a kindle copy of How To Have an Amicable Divorce by Lindsay Harper and I think this could be the perfect book to pop in your luggage. "Have you ever got yourself in so deep you feel like running away and starting a new life? And is the cost of finding herself too high a price to pay?" How To Have and Amicable Divorce is the second book in the How To Have An series. Now I don't think you necessarily have to read the first book to be able to enjoy this story but from what I could work out, reading How To Have an Affair would help to add a bit of depth to the story, as you are initially introduced to some of the characters in the first book. In this book we meet Denizon, she is married to Chris who just happens to be her best friend Robyn's brother. Throughout the book we learn that Chris has been unfaithful more than once in their relationship and he has infact got a son, Barney, the result of a previous affair. Denizon seems to be a very forgiving lady, I'm not sure I would react in the same way but as Denizon shows, I think we all reach our breaking point. "Many married couples separate because they quarrel incessantly but just as many separate because they were never honest or courageous enough to quarrel when they should have." It is nice to see Denizon grow as a character as the book progresses, she goes from someone that lets things slip in the hope of having an easy life, to a woman that argues back and doesn't sit and take sh*t from others, an attitude that I think a lot of us wish we could adopt. As I'm sure you can gather from the blurb, the book reads like an episode of Eastenders. Complicated at times with so many twist and turns and lots of dramatic moments with plenty of humour thrown into the mix. It made for the perfect book to sit and relax with. The story is well written and the way it flows makes for an easy read and I after going back and reading How To Have an Affair after reading this, I am impressed with the details that have been remembered and mingled in with the story. Overall a pleasant, light hearted story that will have you laughing out loud, it's well worth checking out.